An aggressive Raleigh Larceny Lawyer focusing on Wake County Shoplifting criminal cases at an affordable rate. For free consultation call Attorney Wiley Nickel at (919)585-1486. Theft Crimes include numerous charges including larceny, concealment and shoplifting. If you are convicted of a theft crime you can face a wide range of penalties. The penalty one receives depends on a number of factors including the nature of the offense, the value of the property stolen and the defendant’s criminal history. A person convicted of a theft crime may also face negative social, educational and employment consequences. Because of the potentially severe penalties, it is important to speak to a Raleigh Larceny lawyer at The Law Offices of Wiley Nickel, PLLC if you have been charged with a theft crime like larceny or shoplifting in Wake County, NC. The far reaching consequences that result from being convicted of a theft crime include: expensive fines, incarceration, restitution, probation and/or community service and a permanent criminal record.If you have a larceny or concealment charge on your record you are also limited in the options available to have the charge expunged compared to minor alcohol and drug charges.Most importantly this charge can follow you around for the rest of your life and severly limit your options to get a good job.If given a choice between two qualified candidates and one of them has a larceny charge on their criminal record who would you choose? Theft Crime Defense Lawyer serving people throughout Wake County, North Carolina for larceny or concealment offenses arising out of the following cities: Morrisville, Cary, New Hope, Apex, Knightdale, Raleigh, Rolesville, Holly Springs, Cary, Wake Forest, Garner, Wendell, Fuquay-Varina and Zebulon. A single conviction for a minor theft crime by a person with no criminal history usually leads to a minor penalty, typically a fine, restitution, probation or a short jail term. Raleigh Shoplifting Attorney Wiley Nickel understands that staying out of jail is of great importance to most defendants and in some circumstances, it may be possible to obtain other consequences as opposed to jail time. Felony Theft crimes have more severe penalties than those classified as misdemeanors. Felony theft crimes are punishable by more than one year in jail. Generally, theft crimes that are charged as a felony involve force and/or violence. In addition, if the value of the property taken is high or is greater than a certain value set forth in a statute, the crime may be treated as a felony. We often see the felony charge when there is an allegation of tampering or destruction of the anti-shoplitfting device. Our firm completely understands how important the outcome of your case is to you and your family. This is why it is important that you contact our office immediately so we can examine your case and all the evidence in order to aggressively pursue a positive outcome for your case. Shoplifting and Concealment are theft offenses charged as a misdemeanor.You can be charged with these offenses without having left the store or simply by having forgotten about an item you were carrying out of the store. One charged with shoplifting or concealment faces the prospect of jail time if convicted so it is very important to have a Raleigh criminal defense lawyer to help you when you are facing these charges.The lifetime effects of a charge on your record can also limit your employment opportunities. There can be many holes in the State’s case against you.Often the police will not describe the store correctly in your charging documents. In North Carolina you have a right to know who you have been accused of taking property from.If you are accused of taking property from a Corporation you have a right to know the name of the Corporation.If the charging document simply says “Wal-Mart” that isn’t enough.The charging documents needs to provide the correct legal name of the Corporation, typically this means adding “Inc.” to the name and stating that they are a legal entity capable of owning property in North Carolina.Put more simply if you were charged with taking property from “Bob” you would have no idea who that person is.If you are charged with Larceny from Wal-Mart in North Carolina you are entitled to know the full name of the legal entity. If your charging document does not describe the name of the entity correctly we can talk to you about how this helps your case. Shoplifting Defense Lawyer handling cases involving Wal-Mart, Kohls, Best Buy, Target in Wake County North Carolina. If you or someone you know have been accused of or caught by the authorities on larceny charges, it is important that you retain our services so that our office can review all the evidence that led to your arrest. It is important that you understand your right to remain silent and not say anything to the authorities without an attorney present. The Law Offices of Wiley Nickel, PLLC will explore every possible defense to fight your charges. We take pride in providing an aggressive legal defense to individuals who are facing criminal charges. A larceny charge is a very serious charge and a conviction can lead to lengthy jail time and have serious effects in terms of jobs and employment options as you move forward.Everyone makes mistakes and we fight hard to ensure that you can put this embarrassing incident behind you and hopefully move forward without a criminal charge on your record. We will walk you through the process to expunge your charges if you are eligible for an expungement. Innocent Shoppers Falesly Charged by Overly Aggressive Loss Prevention Officers! Many of our clients are truly innocent of shoplifting and are charged with shoplifting/larceny/concealment even though they had no intention of stealing. While it may seem far-fetched we very often encounter people who simply forgot they had something with them when they left the store. Whether you forgot a small item on the bottom of your child’s stroller or forgot about that one piece of make-up that was in your purse so it wouldn’t slide out of the shopping cart you can be charged with shoplifting. Many of the large stores like Wal-Mart, Kohl’s and Target have very aggressive loss prevention officers/secret shoppers who have zero discretion when it comes to charging someone with shoplifting when they see someone leave without paying for an item. 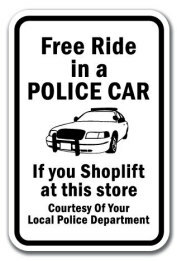 Fortunately criminal intent is a total defense to the crime of shoplifting. So if the state cannot prove beyond a reasonable doubt that you simply forgot about an item then a judge will find that you are not guilty of the charge. Certain individuals accused of first-time and low-level crimes may be able to participate in deferred prosecution or diversion programs. If an accused fulfills the requirements of the program, which include paying restitution and performing community service, the criminal charges will be dropped by The Wake County District Attorney’s Office. If deferred prosecution programs are not available, the accused may be able to negotiate a plea bargain with the prosecutor. Plea bargaining typically involves receiving lesser charges or lighter sentencing in exchange for a guilty plea. There are also less formal plea deals possible where community service can be done for a dismissal in certain cases. Generally if this is a first offense there are options available where you can do community service in order to earn a dismissal of the charges and then a North Carolina Expungement of all public records. Learn more about diversion and pretrial options. Even if your charges are dismissed a criminal record of the arrest/charge remains visible to the public forever unless it is expunged. Many people think that once their case is dismissed all records are erased – this is not true. You need to file a petition to have all public records expunged in order to make sure that the records are erased. You do not want to explain to prospective employers why you have a dismissed shoplifting charge on your record. In Wake County this process generally takes around two to four months. But at the end of the process all public records are erased. This is a service we perform for all of our clients at The Law Offices of Wiley Nickel. High School Aged Son or Daughter Charged with Shoplifting? We handle cases for 16, 17 and 18 year old high school students who are charged with larceny or concealment in Wake County. Many parents are surprised to learn that North Carolina treats sixteen and seventeen year old children as adults for criminal purposes (until the new law goes into effect in December of 2019). If your son or daughter is 16 or 17 they will not go to juvenile court like most other states - they will instead end up in adult court with adult punishments. There are many studies showing that the adolescent brain is not equipped to truly understand the effects of certain behavior at 16 and 17. We understand the unique nature of these cases and provide an aggressive defense of these shoplifting charges. If your son or daughter is eligible for a deferral program we will walk you through the process whereby the State of North Carolina will allow community service as a punishment that will lead to a dismissal of their charges if this is their first offense. Contact a Raleigh Criminal defense lawyer from our office if you have been arrested or charged with a Theft Crime in Wake County North Carolina.You can reach Shoplifting Defense Attorney Wiley Nickel at 919-585-1486 for a free consultation about your Wake County larceny charge.If you are charged with concealment in Raleigh you can reach our theft crimes lawyer by e-mail at wiley@wileynickel.com.